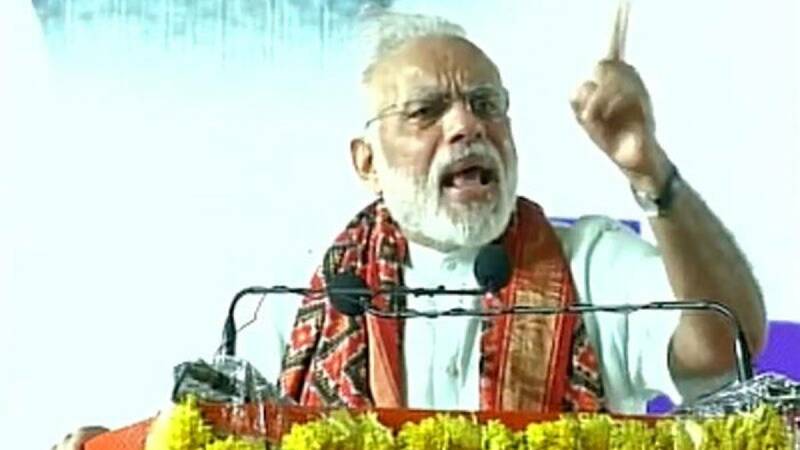 Telangana : "If you want to attack, attack me" but stop attacking "my Dalit bretheren", said Prime Minister Narendra Modi on Sunday while slamming the perpetrators of violence on Dalits. Facing increasingly bruising opposition assault on him and BJP over attacks on Dalits and on the issue of cow vigilantes, Modi also lashed out at "fake cow protectors", denouncing them for the second day running for trying to create "tension and conflict" in the society and asking the states to take stringent action against them. # Prime Minister Narendra Modi on Sunday said attack me but not Dalits. # He slammed perpetrators of violence and fake cow protectors. # Making an emotional appeal at a meeting of BJP workers in Hyderabad, Modi asked people to protect and respect Dalits who have for long been neglected by the society. # Modi chose Hyderabad to break his silence over Dalits because Rohith Vemula's death had kickstarted the whole negatives against his government. # Modi said at times some incidents come to notice which give us "unbearable pain". "It should be our responsibility to save and respect them (Dalits)," he said without referring to any particular incident.